Easy to ride, with 3 good gaits, always willing to work. Her boldness is also very impressive. She seems unphased with new situations. 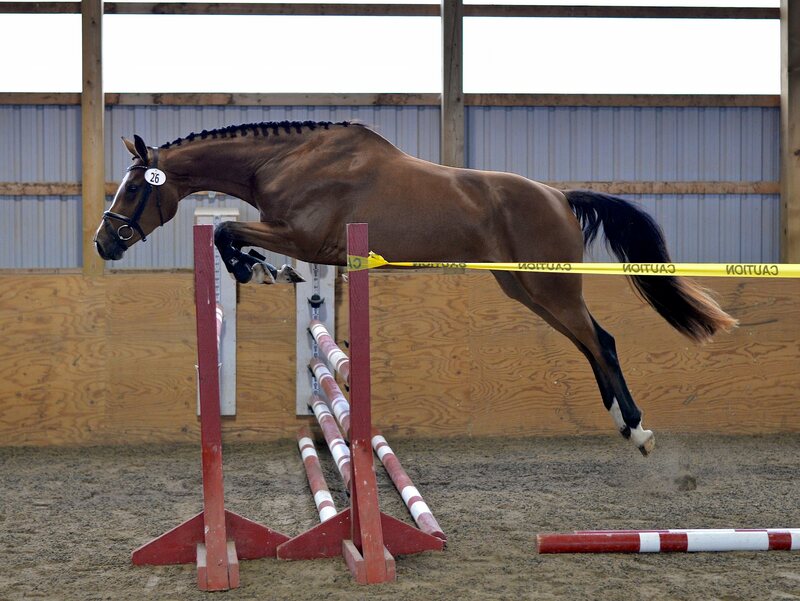 A suitable partner for an amateur rider, who wants to show and have fun with a wonderfully tempered horse of good quality. 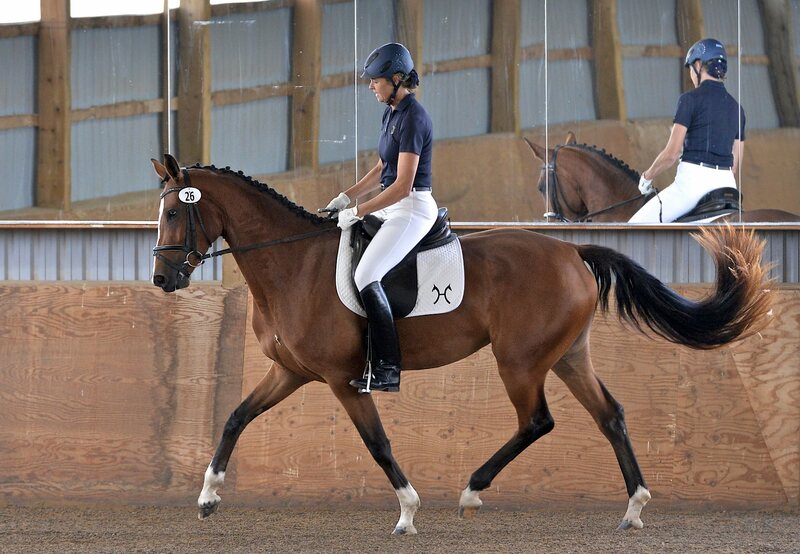 Fabrekate has completed her MPT in Sept 2017 and was accepted in the Hanoverian Main Stud Book.